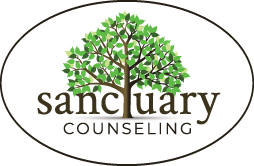 Tag: Relationships | Sanctuary Counseling, LLC. We feel most alive when we are in relationships with others. It’s how we’re wired – It’s human nature. When we spend time with others (and who doesn’t), we are bound to face some conflict, tension, power struggles, and hurts. Before you confront this person, think about the situation. Have you truly been treated badly? Is there anything else that may be contributing to your emotions? Bounce the situation off a trusted friend, with no agenda other than to explore it. Take some time to understand your feelings. If you still feel the same, you are probably onto something. If you decide that you are being wronged and you wish to speak up, think about the situations and encounters with this person that tend to upset you. How do you feel when they upset you? Do you get a sensation of feeling hot or tight in the chest? It’s important to explore this, because when you confront them you need to be prepared to do so calmly and rationally. 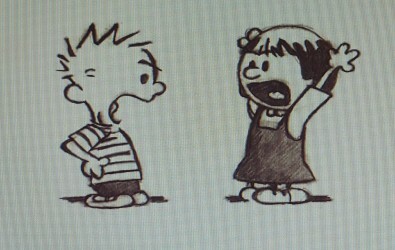 If you choose to speak up when you are feeling emotional, you may undermine your point. Be aware of the triggers within yourself so that you can feel them without letting them control you. The calmer you are, the less likely you are to appear irrational or melodramatic. Before you approach the individual, be prepared for the possibility that you will say your piece and they will disagree with you. If you go into this with an expectation of an apology or acknowledgement of being in the wrong, you may feel like speaking your mind didn’t “work.” Remember, you are standing up for yourself to be true to yourself. That’s the important part—which means you need to be open to the potential consequences. And you need to know how you will respond if this doesn’t pan out as you’d hoped. Be prepared, also, for new information that may make you re-consider your position. Enter the situation with an open-heart, a desire to communicate clearly, and a willing to find a resolution, if possible. Know what you are going to say in advance. Be honest and straightforward. There’s no need to drag up previous incidents; they are not relevant here. Focus on precisely what has happened that has upset you and explain your reasoning. Listen to their response. If they are willing to engage you on it, be open to this. Perhaps there is something for you to learn. 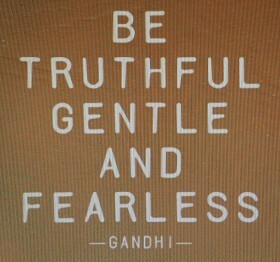 If they respond with anger or aggression, be gentle but firm in your position. Remember, this is an opportunity to stand up for your truth. You will feel proud of yourself if you can be clear and honest, even if the outcome isn’t what you hope it will be.